Dumb Main names: Does the “ring” of company’s domain name count? For company names- how much “creativity” is just too much? Google is undoubtedly the most recognized domain name the whole world round. More people have typed in g o o g l e . com than any other domain; Youtube, Amazon, you name it. These are 10/10 (perfect) domain names. Here we will contrast and compare to less easily memorable domain names. A lot of companies with good plans, and good service or products have failed at their current choice of business/domain/brand names. It’s never too late to change your company/domain name. The proliferation of domain-name squatting has led online start-ups to resort to increasingly ridiculous branding. So many companies, especially technology companies, have and still are making quite a mockery (some would argue an ‘evolution’) of the English language. The saddest part is that it is often not their business model or core company’s fault that their start-up business has flopped over time. Reviewing failed start-ups in the past couple of years, it has become obvious that about 9 out of 10 companies that have gone downhill over time – have had domain names that made it quite difficult to tell what they did (by looking at the name of the company/domain ). In contrast, if you look at the companies in the Fortune 100, you can pretty much figure out what they do – Shell Oil, International Business Machines, United Parcel Service, Microsoft, etc… Most of the successful company’s have names that match what they do – making it pretty clear upfront. Fledgling companies, that have had to spend more than a minute, teaching each consumer ‘what it is they do’ have inadvertently positioned themselves to swim against the tide from day one. It takes a lot of skill with the English language – to think up the best names and brands that are catchy to consumers within a particular service or product-line. 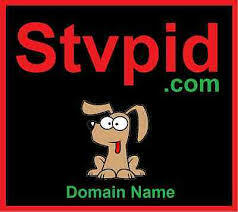 But there is the additional modern problem of coming up with a domain name that isn’t already taken or “squatted”-upon. For example: think up a dozen-or-so names for a new business and then look them up to see if those domain names are available. Question: Does your business (or personal) site also have a blog on it? 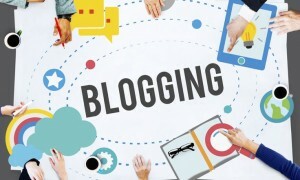 In this article we will review the top reasons for making the decision to add a blog to your website. * 1st – search engines eat them up and keep coming back for more. Blogs are particularly savory to the appetite of Google’s stomach (and the other various search portal out there). * 2nd -it a marvelous way to provide current, or chronological information, to educate and entertain your visitors about your: industry, products, services, etc. * 3rd – a blog gives a more ‘human’ face to your website – making it potentially more appealing than your competitor’s sites. Every webmaster, that is paying attention, would like for their website to appear on the “first page” of the search engines for particular keyword searches. Considering the bigger picture, the reality is there are a lot of other sites (and webmasters/marketing agents) striving for the same high ranking spots. Search engines wisely don’t reveal the secrets they use to determine or program which sites will display above others, for a given keyword search. However, we all can agree that search engines rank higher for fresh, relevant, high-quality content. Google (and others) have the same goal as webmasters: they want their visitors to keep coming back. So logically they need to make sure the most relevant, high quality, (and often fresh/recently-updated) links are returned for searches. A problem many small to medium sized businesses currently face is that their websites lack extra text content. The typical site contains 1-2 dozen pages of static page content. Also it is not uncommon for the pages to *not contain* a lot of text… i.e. “juicyness” for search engines! Static content only makes it difficult for a site to rank on the first page. Adding dynamic frequently updated blog content (of relevant/high-quality) helps a site jump ahead in the search engine results pages. By definition of a “blog”: a lot of text and new content is added (or updated) regularly. Sprinkle in cleverly chosen keywords (or phrases) into the mixture and your site should soon be moving up in those results pages. External fraud is the enemy of all businesses. It can be argued that internal fraud is also an enemy of business, but this article will focus on common types of fraud that customers commit against a variety of e-commerce businesses – especially ones that sell tangible items that need to be shipped. Knowing what people do to trick businesses out of their own products (and time) can help defuse these techniques. How much is customer-driven ecommerce fraud costing online businesses? Customer-driven fraud cost merchants billions (with a “B”) every year. 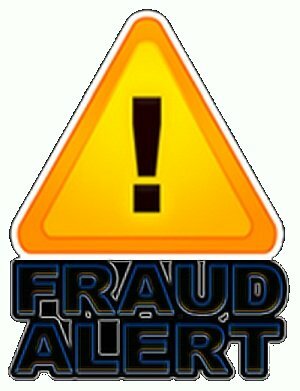 Some reports and statistics show that the level of fraud exceeds 10 Billion each year. Where online business really feel the pinch is with “charge-backs”. When the payment processors receive a complaint from a customer – they tend to believe the customer. Keeping investigation time to a minimum they typically process a charge-back transaction again the merchant. More often than not it is the merchants who are getting the short end of the stick. Customer-driven fraud has been on the rise. It has simply been easier for the payment processor to screw the merchant – even when the facts points the other way. Also, online transactions are often “card-not-present” situations, therefore making online stores particularly vulnerable to “stolen-card” fraud too. One type of fraud, particularly on the rise, occurs when scammer-customers order physical (or digital) goods, with the covert intentions to make a false claim to their bank (or even their victims bank) that products were “not delivered” – and fraudulently demand a charge-back. Fraud stings online merchants of all kinds, no matter how big or how small. In fact, it is on the rise in online world because E.M.V. [ (E)uropay, (M)astercard, (V)isa ‘smart card’] controls have made it more difficult to commit fraud over the counter. So thieves have been shifting their energy to e-commerce storefronts – which are more vulnerable to credit card fraud. [ EMV is a technical standard for smart payment cards and for payment terminals and automated teller machines that can accept them. EMV cards are smart cards (also called chip cards or IC cards) that store their data on integrated circuits in addition to magnetic stripes (for backward compatibility). These include cards that must be physically inserted (or “dipped”) into a reader and contactless cards that can be read over a short distance using radio-frequency identification (RFID) technology. Payment cards that comply with the EMV standard are often called “Chip and PIN” or “Chip and Signature” cards, depending on the authentication methods employed by the card issuer. 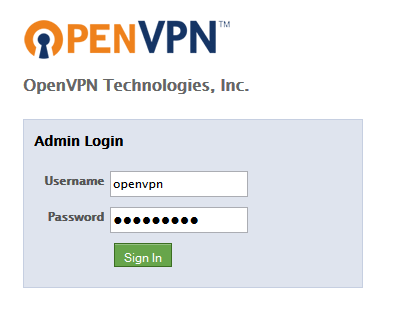 OpenVPN has become the most widespread VPN (Virtual Private Network) protocol used by today’s commercial VPN providers. However, did you know you can set up your own VPN service on a VPS (Virtual Private Server) which provides a closed environment situated as a physically remote server? If you lease a VPS from 4GoodHosting you can do anything you want with it, such as installing any operating system, and basically treating the VPS as your own personal remote server. If you are interested in running a VPN service on your VPS then this article will be helpful. Using automated installation scripts, the process has become easier for the average person to use. The following is how to install OpenVPN on your own VPS server running Centos 6.x or 7, Debian (or Ubuntu) Linux. 2. Next, type in the port number used for incoming OpenVPN connections (or use the default of “1194”). Any port can be used, any random one will likely do – as long as it is not in-use by other application server, or service. Select whether to listen on port 53 too; which is useful for covert connections. 3. Next, you will be asked for a name of client certificate. You can use anything such as “user1”, “anonymous”, “johndoe”, yourdog’s name, etc. That’s all the OpenVPN installer needs to know. Subsequently it will download the packages, generate the encryption keys and certificates and then after that it will attempt to start the server. OpenVPN uses 2048bit RSA keys for authentication and the 128 bit Blowfish algorithm for data encryption. If everything went smoothly, the auto-installer will notify you that the security client certificates have been saved into a .tar.gz archive, e.g. “ovpn-client.tar.gz”.